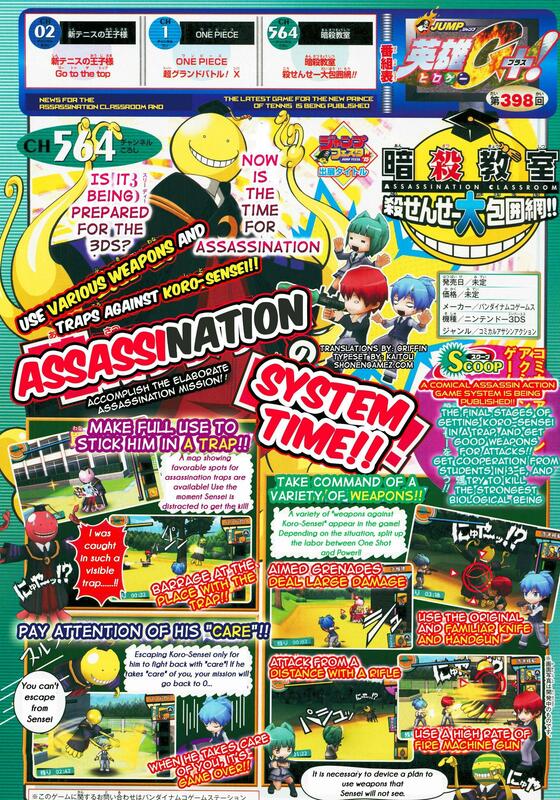 The latest Weekly Shonen Jump features a new scan for Assassination Classroom: Grand Siege on Kurosensei, the upcoming Assassination Classroom game for the Nintendo 3DS. The scan features the gameplay mechanics of the games as well as the weapons that will be available. I hope this comes to US, BUT INSTILL WONT HE ABLE TO GET IT.